All Reservations must be done through the Town of Cortlandt Recreation Office, please call 914-734-1055 for more information. Helmets, rubber wheeled skates, elbow pads, kneepads & wrist guards. Roller hockey activities require a caged helmet, shoulder pads, shin guards, gloves and mouth guard. Helmets with face mask/cage must be worn at all times for roller hockey including on player benches. Skaters must provide their own equipment. Only in-line skaters are permitted in rink. No bicycles, skateboards, scooters, radio controlled toys, food or spectators permitted inside rink. Graffiti, vandalism, and the use of profanity, tobacco, and alcohol, drugs or glass containers are prohibited. Please deposit all trash in containers. Rink hours are 9 AM to dusk. No skating when surface is wet. No trespassing after rink hours or when locked. Use of rink is by permit from Cortlandt Recreation Division only. Skate rink is open to Town Residents only. FAILURE TO ABIDE BY THESE RULES WILL RESULT IN THE LOSS OF PARK PRIVILEGES. 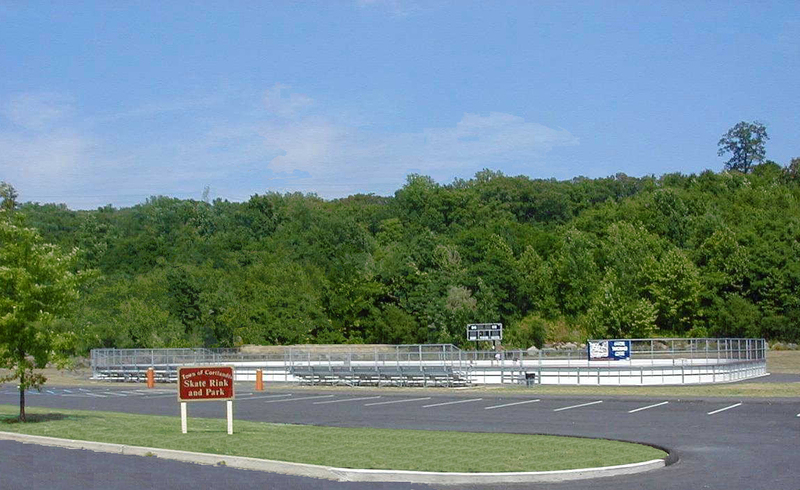 The Town of Cortlandt is not liable for any accident or injury to persons or property resulting from the use of this skate rink. Please be considerate of fellow skaters especially those who are younger or less skilled. Serious injury may result from colliding with other participants. Please be considerate of surrounding neighbors.